Firefox browser can be customized to great extend in terms of look and functionality. There are number of Firefox styles and themes to add glitz & gloss to Firefox browser. If you love simple and elegant interface then check “Purity” theme for Firefox browser. It makes Firefox browser interface white, simple and very minimalist. Calm and clean interface keeps your focus on content being browsed in Firefox as against attention grabbing buttons and controls. 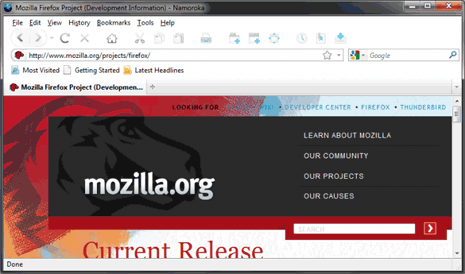 Download Purity for simple looking Firefox browser.